The Plague by Albert Camus (1947). It can ostensibly be interpreted as a narrative of an epidemic slowly overtaking the French city of Oran, set in the middle of the twentieth century, the characters describe microscopes and the patients being treated by the lancing of buboes, injections of camphor and a serum, that to me sounds like a vaccine, but the details are sparse. No mention is made of antibiotics, the city enacts a cordon sanitaire and the bacillus causing the plague in my mind is Yersinia pestis. Much has been written about this novel, the author Albert Camus wrote about the absence of inherent value and meaning and was part of the cultural milieu of Jean-Paul Satre and apparently follows the work of Soren Kierkegaard. I have read English translations of Jean-Paul Satre but not Soren Kierkegaard, but at the time of reading "The Plague", I was approaching it more from the descriptions of the characters and the social situation, although the indifference of the plaque to human morality is a theme of the novel and the way Albert Camus describes and treats his characters, is consistent with his Absurdist philosophy and I was aware of the interpretive approach that the novel was built on experiences and perceived issues close to the general French experience of the German occupation of France during World War II (Vulliamy, 2015). I would need to read articles on the subject to check the validity of this opinion really. One issue that gets mentioned is the role of women in the novel, woman characters in the novel tend to be mothers, carers, shopkeepers or as part of a "couple" but are not described as occupying official roles in the society described in the novel. I am not someone who should really have opinions about contemporary French society let alone French society during the twentieth century, but prior to reading this novel I had seen a lot of silver screen movies from the 1930's to 1960's and thus as I was reading this novel I was picturing it in a kind of film noir setting and there wasn't that much dissonance. I suspect that this was because the author wasn't concerned about this issue that we observe from our contemporary perspective and was probably writing in a way consistent for its time and place. Vulliamy, Ed. (2015). 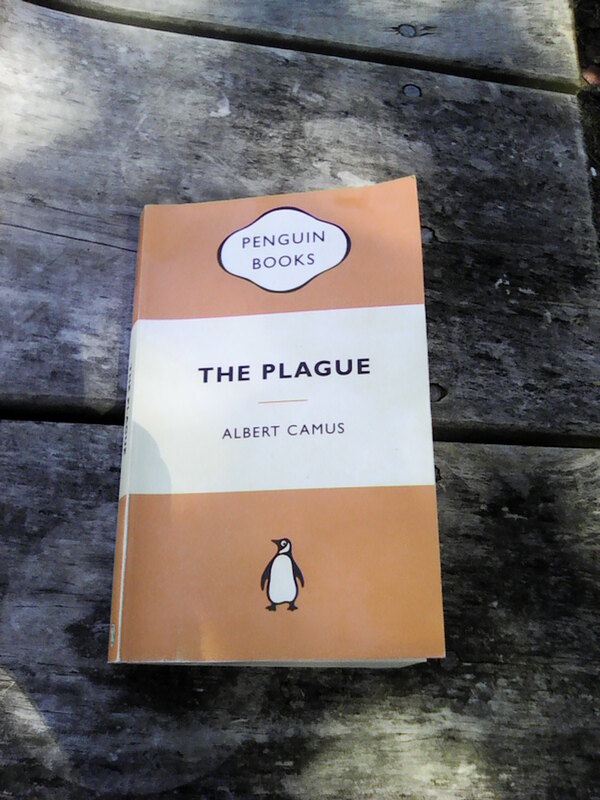 Albert Camus' The Plague: a story for our, and all, times. From the 5th of January, The Guardian. @ https://www.theguardian.com/books/booksblog/2015/jan/05/albert-camus-the-plague-fascist-death-ed-vulliamy.